A Chicago-born (January 8, 1923) and educated Expressionist* artist, Herbert Katzman was noted for his unique, textured paintings as well as sculpture. Known as a slatherer, he used a palette knife* to put thick layers of paint on canvas to give it a dense look. His father, Louis, was a successful dentist and his mother Faye a homemaker. When Herbert was 11, his mother died, and he and his older brother Bob were raised by their father and a housekeeper. The brothers attended St. John's Military Academy for their elementary education, but Herbert soon discovered that he wanted to study art despite the objection of his father. He put himself through school working as a student janitor and a few other odd jobs. At 17 he entered the Advanced School of the Art Institute of Chicago, his interest having turned from sculpting to painting. 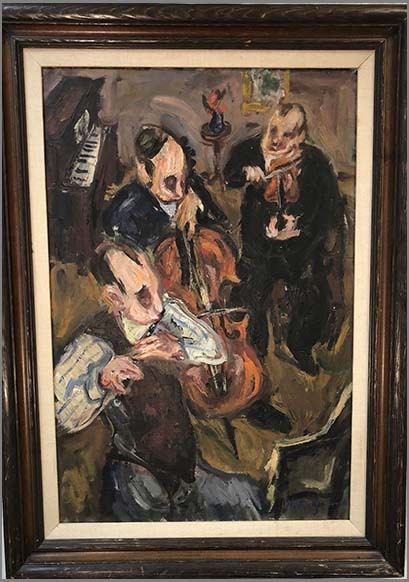 Katzman served in the U.S. Navy from 1942 to 1944, went on to continue his studies thereafter, and graduated from the School of the Art Institute of Chicago in 1946. He received a traveling Scholarship Award and moved to Paris, France, where he met his future wife. During his four year European stay he traveled extensively in Italy, the south of France, England, Scotland, Czechoslovakia, Holland and Belgium. Scenes from these countries became subjects for numerous landscape paintings. While in Ostend, Belgium he arranged for a meeting with the Belgian artist James Ensor, who sat for a drawing that Katzman made of him. The family moved to New York City in the 1950s and the artist took on odd jobs to support his family. He became a member of Edith Halpert's Downtown Gallery*, and in 1952 was was selected by the Museum of Modern Art to participate in it's Fifteen American's show. This was followed by many group and one-man shows. In 1955 he received a Fulbright Grant*, which allowed him to move to Florence, Italy for a year where he painted many landscapes of his surroundings and made numerous small sculptures modeled in wax and cast in bronze. Upon his return to New York in 1956, he found work as a teacher of painting at the School of the Visual Arts, New York*. For the next decades he painted landscapes and portraits, sculpted and created large drawings in chalk. 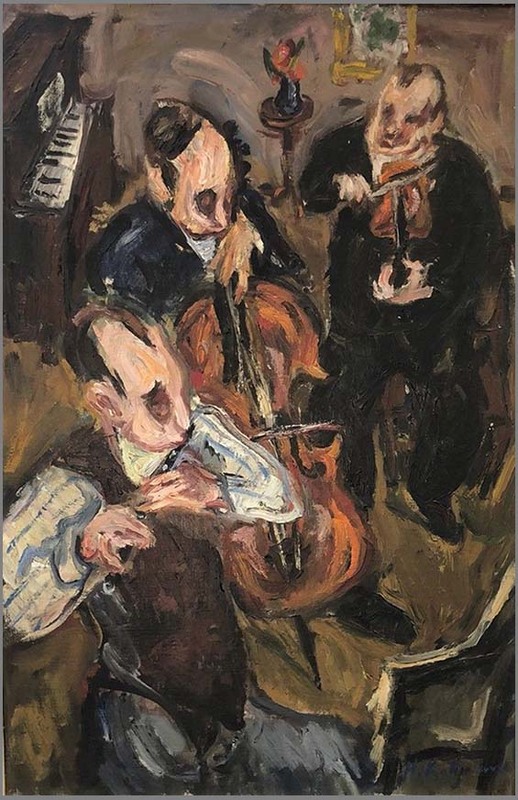 Katzman's work is in the permanent collections of the Whitney Museum and the Museum of Modern Art in New York, among others. In 1968, he was the recipient of a 1968 Guggenheim Fellowship, and in 2002-2003, a Lee Krasner Award from the Pollock-Krasner Foundation. In November 2010, the Museum of the City of New York held a solo exhibition of Kastner's city paintings: "Glorious Sky: Herbert Katzman's New York." Herbert Katzman died in his studio on October 15, 2004.